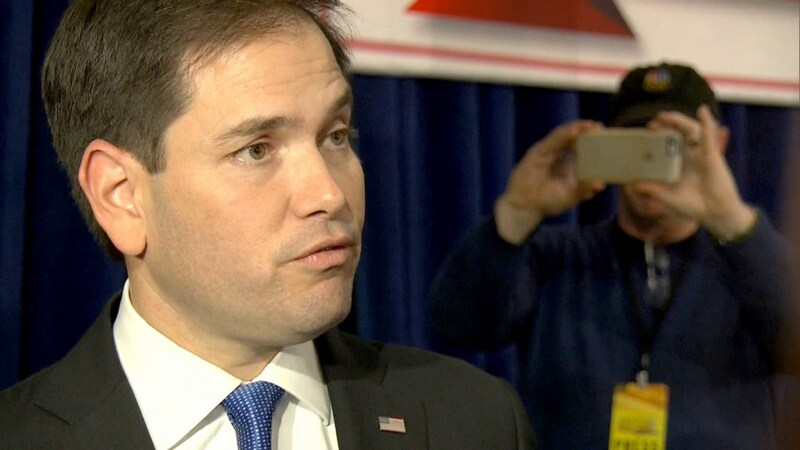 Ankeny, Iowa —Less than 12 hours after several chippy confrontations at Tuesday night’s GOP debate, Marco Rubio returned to Iowa overnight and embraced the potential of opening a pathway to citizenship for some undocumented immigrants in the United States. “I recognize that my position is not a majority position in my party — maybe not even a majority position in large parts of America,” Rubio said. The Florida senator was pressed on Tuesday for the first time in this election cycle on his support in 2013 of the eventual path to citizenship as part of the Senate’s Gang of 8 comprehensive immigration bill that would have also strengthened security efforts on the border. Rubio defended his past support for the comprehensive measure on Tuesday night but suggested he has since “learned people have zero confidence” that the federal government will enforce immigration laws, leading Rubio to say on the campaign trail that he’d first require the border be effectively secured before passing a separate measure through Congress opening the door to legal status and then citizenship. Rubio also defended himself for recently missing a vote on the National Defense Authorization Act because he was in “the middle of a campaign.” In recent weeks, Rubio has insistently criticized Cruz for voting against the NDAA since entering the Senate, using it as a sticking point for his questioning Cruz’s commitment to maintaining the U.S. military’s operations and providing aid for Israel’s Iron Dome. But this October, Rubio completely missed the vote. He also accused Cruz of voting against the NDAAs “to wink at the Rand Paul, Ron Paul voter.” Each year, Cruz has articulated his opposition on the premise that the act does not prohibit the indefinite detention of U.S. Citizens, an issue long fought by civil liberties advocates. Rubio also pushed back in the interview against the notion that he is the establishment Republican candidate in the race -- despite being flanked at the top of the polls by the likes of outsiders Donald Trump and Ben Carson and Ted Cruz, who is gaining considerable traction among the country’s religious right. But to make his point, Rubio turned to his fundraising totals. “If I was the establishment candidate, I would have raised more than $6 million in the last fundraising quarter,” said Rubio, who brought in just half of Cruz’s third quarter haul of $12 million. The senator also refused to suggest which state he would win first — he is not a frontrunner in any of the first four voting states.